Contact us online or use the resources below to contact University Hospitals Twinsburg Health Center directly. 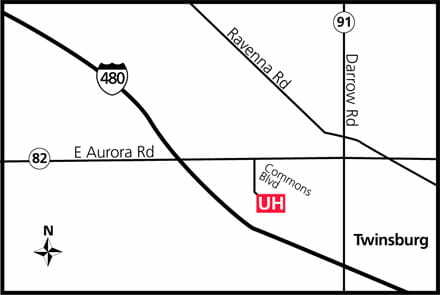 At UH Twinsburg Health Center, we offer an on-site patient concierge, who will assist patients with scheduling a follow-up test, specialist appointment, answer questions or offer guidance and resources about University Hospitals. To meet with our patient concierge, visit the office located outside suite 100.